If you have a client with an incorrect negative balance this article will walk you through the steps necessary to correct the negative balance and bring your client’s account up to par. 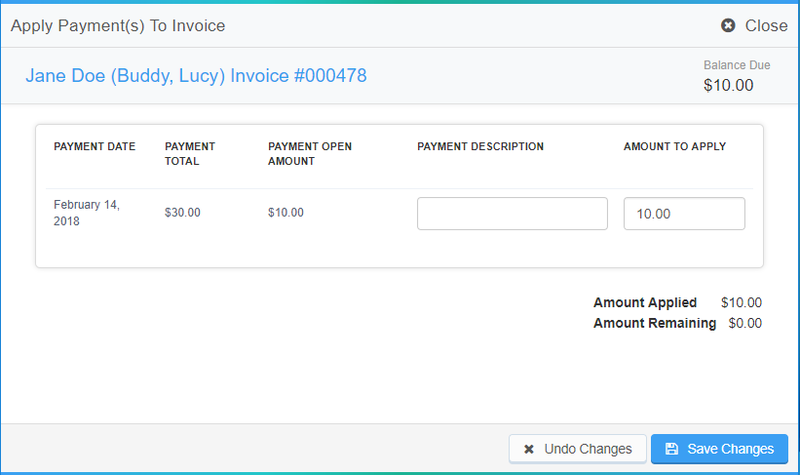 Open payments are also sometimes referred to as "Overpayments"
Client submitted payment in excess of Invoice’s balance. A credit was manually added to the Client’s account to account for the open payment. The credit was applied as a payment to a separate invoice. Please Read: If the second case applies to you we can more than likely Automatically fix your client’s balances for you. Please get in touch with us and we will take a look for you. Caution: Please ensure you have read the introduction and this article applies to your client’s situation. 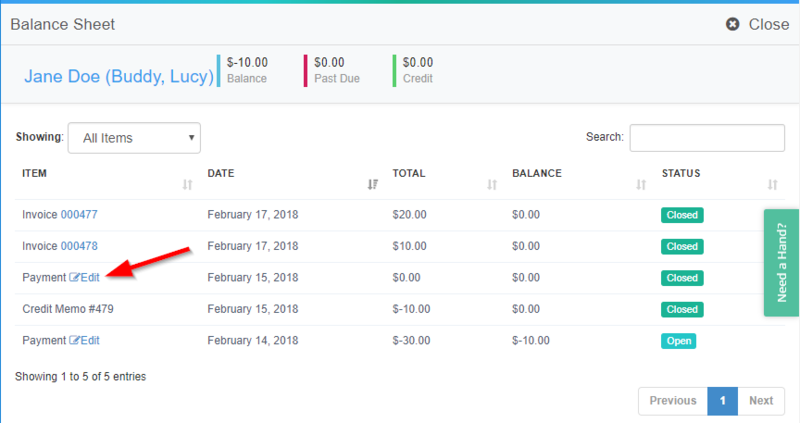 Invoice #477 has a total balance of $20 but a payment of $30 was made on February 14th. 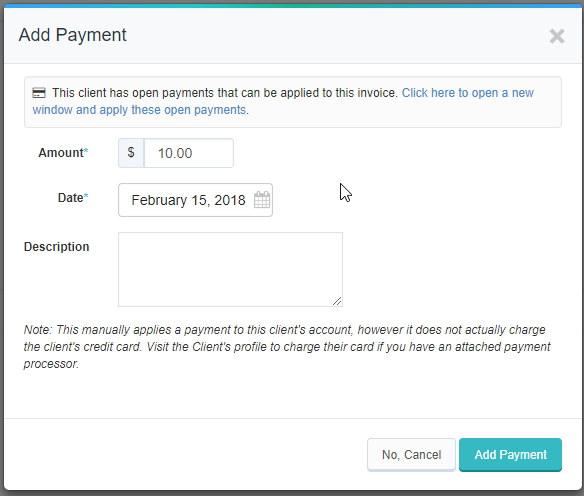 Invoice #478 has a total balance of $10 and a payment of $10 was made from the Client’s credit balance on February 15th. 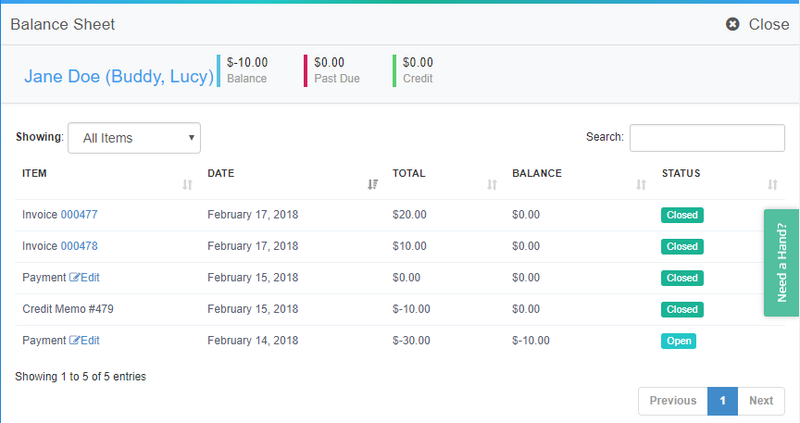 To fix this we will remove the Credit Payment on February 15th, and apply the remaining $10 from the Payment on February 14th towards Invoice #478. We need to adjust the client's credit balance to $0. 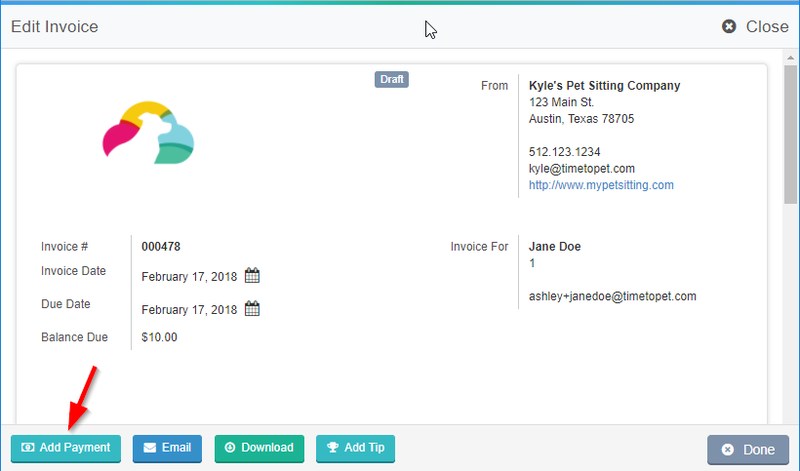 Close out of the Balance Sheet and navigate to the Services/Invoices tab of the client's account. 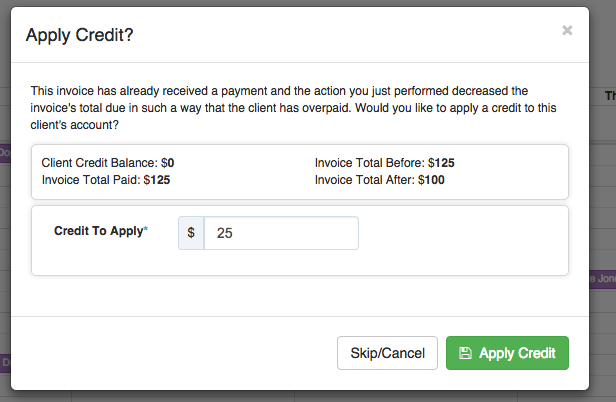 Click the edit icon next to the Credit Balance. In the new screen that opens up, click the blue "Adjust Credit Balance" button on the top right. Enter "-10.00" for the adjustment, make a note about the reason for the credit balance adjustment, and click "Save Adjustment". 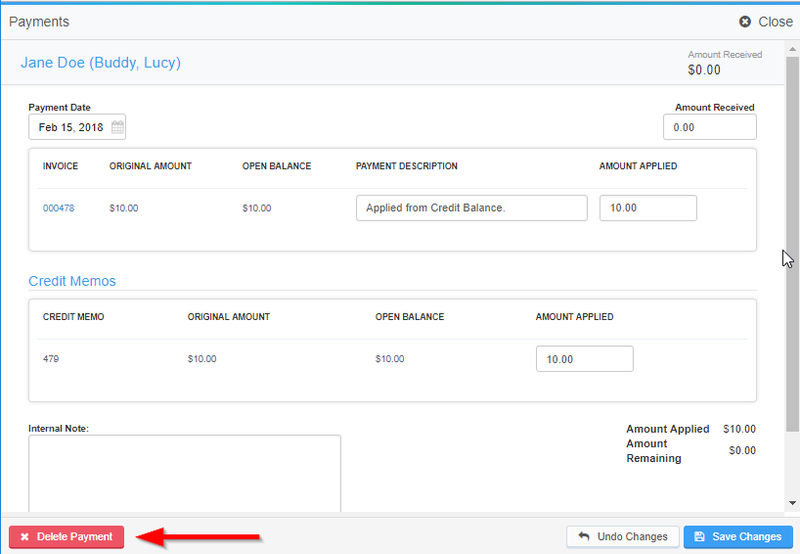 The next window will auto-populate the correct amount ($10) to apply to Invoice #478, click "Save Changes".